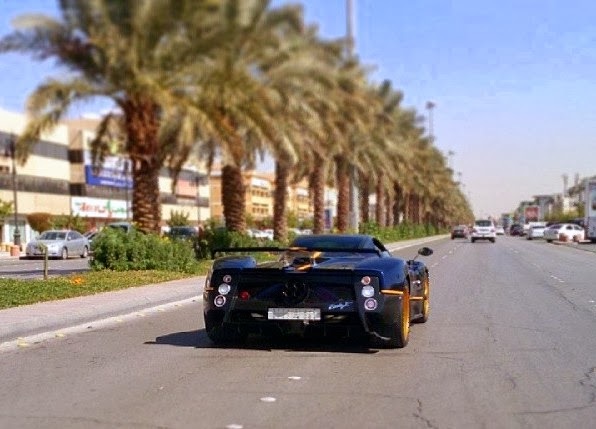 The upgraded Zonda F I shared with you last year in September has been filmed by Arabian Luxury Cars. The car features Montecarlo blue body paint and fully visible carbon fiber, yellow stripes and Cinque spoilers, rear diffusor, gold wheels and exhaust system. The cockpit is characterized by black bull leather. Its identity is still to be confirmed but I'm pretty sure it is the italian Zonda F #075 showcased during Geneva Motor Show in 2007. Watch the video here. Read more about the car here.